May buy 1 for yourself and 1 additional as a gift. May use 1 per person. Must sign waiver. Reservation required. Cancellation policy of 24 hours applies or voucher subject to forfeiture. Valid only for option purchased. All services must be used by the same person; two person voucher can be used by same or different people in separate visits. Expires 4 months after purchase. See the terms that apply to all deals. 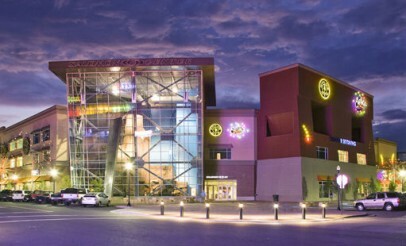 With this deal, enjoy indoor skydiving at iFLY Utah, indoor surfing at Flowrider, and indoor climbing at iROCK Utah. Click the links to learn more about each attraction. Ever wanted to skydive but heights are not your thing? iFLY Utah offers indoor skydiving where you can experience all the excitement, adrenaline and adventure without jumping out of an airplane. iROCK Utah is Ogden's newest indoor bouldering and rock climbing facility with over 2,520 sq. ft. of world-class indoor climbing. The gym has routes for beginners, intermediates and experts and accommodates groups of all sizes. Can't catch a good wave on the Great Salt Lake? 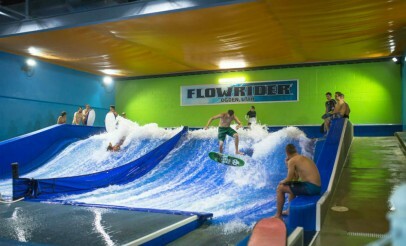 Flowrider is powered by an engine that drives 10,000 gallons of flowing water, making it possible for you to surf indoors, regardless of your skill level. You can achieve up to 300 rides per hour.